New Year New Artist at Sage Gateshead brings together stars of the future from folk, classical, jazz and world music. We get to know one of those, Holly Clarke, a little better ahead of her appearance on Thursday 17th January. I grew up in the Lake District in a village called Coniston, which was a really wonderful place to grow up. I grew up listening to a lot of different kinds of music and my dad played in a Bluegrass band, which I eventually became interested in, but it was when I discovered the Traditional music of England, Scotland and Ireland that I was converted and I chose to become a Folk singer and musician. I moved to Newcastle in 2015 to study on the BA Folk and Traditional music course at Newcastle University, and I’ve been active on the local folk scene ever since. I sing Traditional songs from all over the UK and Ireland. I love finding and old song then arranging a new contemporary backing to really elevate the narrative of these old stories and songs. The first record I ever bought with my own pocket money was Number of the Beast by Iron Maiden. I think I went through an awkward emo phase where all I listened to was metal and pop punk. I’m still a huge metal fan and I am partial to a bit of death metal every now and again. I would like to say something cool like, Cher….but really I just love listening to the soundtrack of Disney’s Frozen. If your cooking or doing some household chores, just switch the music on and your ready to get stuff done. Withnail and I, is without a doubt my favourite film of all time. It never gets old, you always laugh and the acting and the script writing is just spot on. You always have to have the finest wines when settling down to watch this film. Braveheart. I love kilts and shouting freedom. It’s a guilty choice because, lets face it, Mel Gibson’s accent is terrible. There has been so many good TV series in the last couple of years but if I was to recommend one, then it would have to be the Channel 4 series, Flowers. It is a dark comedy about a very dysfunctional family who have some very odd friends as well and I suppose it’s about this families everyday life and showing how weird they are. It can have some quite disturbing moments, which then ends up being incredibly. Anything with Julian Barrett or Olivia Coleman in is sure to be good. I love reading and I’ve read a lot of books, but if I have to narrow it down to one it’s probably The Graveyard book by Neil Gaiman. I love this book so much that I read it once a year and the story still excites me. I think Neil Gaiman is one of the best writers we have ever had, a really wonderful author. Peter Kay. I just can’t get enough, I think he is the funniest man. I love the skit he does when he miss hears the lyrics in songs. It gets me every time. Seeing the amount of people living on the streets in Newcastle. It’s pretty heartbreaking. I also get sad seeing friends go through hard times and struggling, but you have to support them as best you can and be there for them. I’d love to be able to fly, so I could just fly up a mountain or skip taking the metro! I’d love to play Cluedo with Agatha Christie, Sir Arthur Conan Doyle and Josephine Tey. I’d love to know what famous crime writers would think of this game and who out of all three of them would figure it out first….my bet is on Agatha Christie! 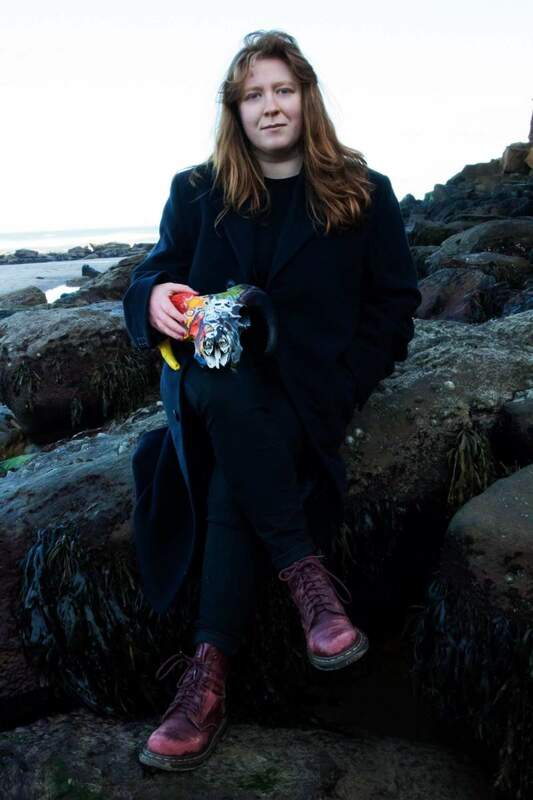 Holly Clarke is at Sage Gateshead as part of New Year, New Artists on Thursday 17th January.